Fitted Golf Clubs…Why Your Next Set Should Fit Your Swing! Why should your next set of golf clubs be fitted? In reality, does your golf swing look like everyone else’s golf swing? You are unique! That is what makes golf so interesting because there are so many different variables. This goes to reason that fitting golf equipment to you, as a unique individual, is extremely important in order to maximize your golf game. When making your key investment, consider these elements: Game Improvement, Craftsmanship, Power, Precision, Perfect Fit, Skill level and Budget. “Club Fitting” has evolved in becoming a household term with the golf industry and consumers. 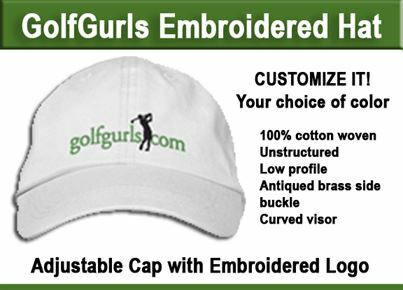 Manufacturers, Golf Professionals, Tour Players and Amateurs all have changed their way of thinking that equipment should be customized to improve the golf ball flight and your personal swing. This information is to help you sort through the technical language of golf clubs, the components and why they are important. Lie Angle— Lie Angle has a serious affect on direction, especially in the more lofted irons. Setting the lie angle to the individual is vital to receiving correct feedback from the ball flight. The lie angle on the target clubs, is something that you hit inside 150 yards, has a direct impact on the direction and scoring. Watch the video to check your LIE ANGLE or see a Golf Professional for advice to properly check your Lie Angles of your irons. Some clubs can be adjusted by a club repair person, but take note that some clubs can or cannot bend depending on the maker of the material. Face Angle— This is a specification that is in drivers, fairway woods and hybrids. It can have a large influence on direction and trajectory. Most of the woods and hybrids in the stores are set up with closed faces. That isn’t what everyone needs. Companies like Henry-Griffitts has them with closed faces, square faces and open faces. They can fit everyone. Head Design— This specification is largely ignored in the golf industry. Offset heads and non-offset heads have completely different performance patterns. Offset heads have a tendency to make the golf ball go left and help the majority of people who slice the ball to the right. Non-offset head design is more the traditional Tour Blade look and slimmer profile for the players who strikes the ball fairly well and direction correction is not altered as much. Finding the right one for you means hitting it with the correct shaft, at the correct length, and with the correct lie angle. Shaft Flex— With off-the-rack selling there is not much difference in shaft flex. Some manufacturers will call one shaft a stiff flex while another will designate the same shaft as a senior flex. Flex is important to the feel of the club and isn’t entirely determined by swing speed. Tempo and release patterns can have a big effect. There are large ranges of flexes in golf shafts and the industry has a tendancy to simplify it to 4-5 flexes, but there is more than that offered in details. You are assured to get the right one based on performance instead of a swing speed chart. Shaft Weight— You’ve heard that lighter is better for many years. That’s another marketing myth. Lighter is better for some, and heavier is better for others. Testing or demo weights can give you the opportunity to test which is right for you: lighter; heavier; or in the middle. Interchangeable weights are promoted in the head design with most drivers; even those have a chance to be incorrect unless there is professional advice to match the weights according to the swing performance. Length— Longer isn’t better. Neither is shorter. The correct length for each individual golfer encourages contact in the sweet spot. Fit the golf clubs to the length that will enhance your balance and allow you to repeatedly hit the ball in the sweet spot. Grip— Grips have evolved in many different ways today. The size, texture, durability, weights and colors are all things to consider and are important to keep your hands on the club correctly. Size is a big issue; we all have different hand sizes and finger lengths as well as medical problems that can play a part on your decision on the correct grips for you to choose. Colors and textures are in abundance which adds to the role of customization. Even though Golf Club Fitting remains mysterious to some people playing golf, the overall message is clear: You can benefit tremendously from properly fitted equipment. When in doubt, ask a Golf Professional for advice or guidance, that is their job and they have resources to help you solve your personal individual situation. There is no substitute for using properly fitted golf clubs that fits your own personal golf swing. You are unique! 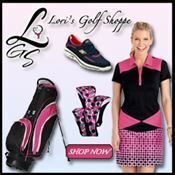 ==> Have you been fitted for your golf clubs? Did it make a difference in your game? Share your ideas and comments in the space below. I think this is something that amateur golfers and higher higher handicap players dismiss, or pass up. I hear so often, “well I’m just not good enough to have fitted clubs”. Not true. I think most players would be shocked to find out that the clubs they bought at the local golf store just don’t fit them. My first set of clubs were close to an inch too short for me, that’s a lot! I’m 6′ tall, fitted clubs were a must for me. Glad to know you got clubs that really fit you. Makes the game a lot more enjoyable! I wish to be on your mailing list. Thx. I placed you on our subscriber list. You should start getting email from us very shortly. Great article. I’ve been fit a couple of time before – at Taylormade as well as a major golf retailer for my current set of Callaways. The one thing that I never realized until a recent fitting at the Canadian Ping facility is that my current set of clubs didn’t result in enough of a distance gap between my clubs. For that reason alone, I need to look at the makeup of my set – do I need both a 5 hybrid and 6 hybrid? Is the 4 hybrid going the same distance as my 7 wood? I found that to be one of the most valuable aspects of the fitting. Making sure you have the right clubs in your bag, with the right distance gap between them is really something only you will know after testing them out at the driving range. I know I carry a club or two I seldom use… right now my go to clubs are woods and hybrids, so I leave the six iron at home… And things can change as your swing improves. You might find yourself reassessing what’s in your bag by mid season.